Running alongside No. 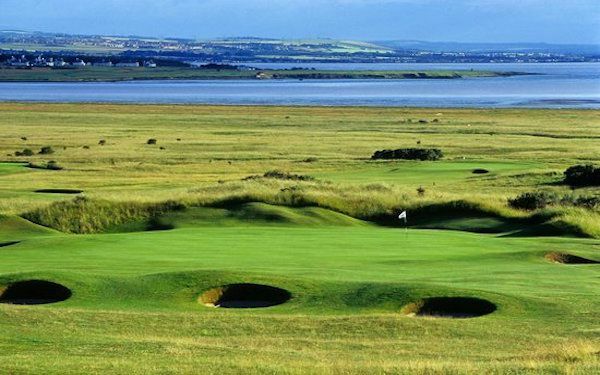 1 for the first seven holes, the course sweeps down to a nature reserve next to Aberlady Bay before turning back towards home and the visitors’ clubhouse. The beauty of the coastline and the challenge of the layout create an unforgettable round that epitomises links golf in Scotland. Whilst shorter than is older sibling it provides an equally stern test, with challenge and charm in equal doses. At 6,385 yards, No. 2 is shorter than its older sibling but provides an equally stern test as it proved during final qualifying for the Open Championship in 1980, the Millennium Seniors Open Amateur Championship, and the British Girls Home International Matches in 2011.With challenge and charm in equal doses, No. 2 is a favourite with those who enjoy their golf with a twist in its tail.The architect of Course No. 2 is Willie Park Junior. The type of grass is predominantly Bent on the fairways and Fescue on the greens. There are 107 bunkers on the course and the average green size is 500m Sq.